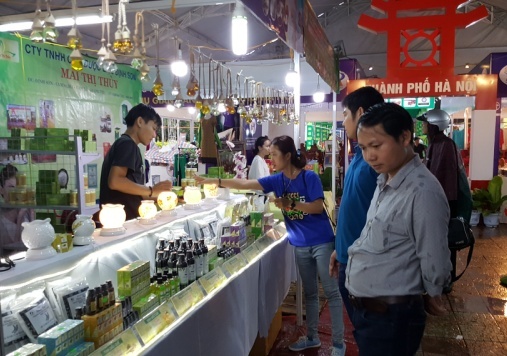 The Hue Festival 2018 International Trade Fair is an ideal shopping destination for the locals and visitors when coming to Hue during Hue Festival 2018. 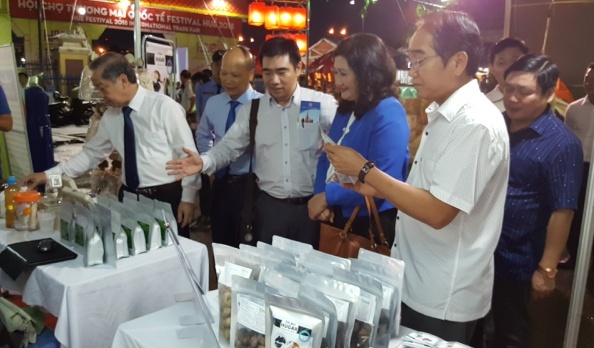 Delegates visit the province’s stall of "Creative space - Consultancy for startups"
From now until May 2, the fair takes place as one of many events in Hue Festival 2018, with more than 500 stalls of 265 agencies, organizations and enterprises from 21 provinces and cities and countries such as Laos, Thailand. 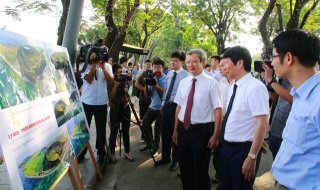 The activity within the framework of the National Trade Promotion Program co-organized by the Ministry of Industry and Trade and the provincial People's Committee aims to boost international cooperation and investment promotion between localities and countries in the East-West Economic Corridor. At the fair, enterprises can promote the brand names of their goods and services to investors as well as international tourists. In addition, there is a showcase for economic, cultural and social achievements and potentials of provinces and cities from all over the country. This fair is more professional, modern, and efficient, with characteristics of an international trade festival, Mr. Nguyen Thanh, Director of the Department of Industry and Trade said. This fair also has many new features compared to the previous ones. 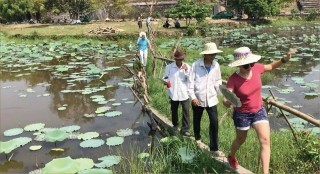 Especially, the showcase area is professionally arranged, and the exhibited products show typical characteristics and unique features of different localities. 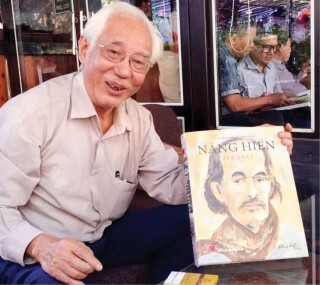 Thua Thien Hue province’s stall showcasing goods licensed to use the “Identity seal of Hue fine art handicraft products" and stall of "Creative Space - Consultancy for startups" contribute to the diversification of products and branches participating in the fair.